Facts—and the lack of them—have been in the news lately, as society struggles to define what makes a fact a fact. But as the publishing industry says, fiction has to make more sense than real life. The real world can get away with people whose motivations don’t make sense or plot twists and details that are too ridiculous to believe. In our stories, logic and consistency are required. In any world, it’s a fact that I’m struggling with my NaNoWriMo word count, but I still have fantastic guest posters helping me out this month. Today, expert Selina J. Eckert shares her advice on how to make sure our fiction rings true and doesn’t trip over inaccuracies. If there’s one thing many writers neglect in their fiction, it’s their facts. They take the time and care to build up the characters, the world, and everything else they’re making up, but they often forget that the non-made-up parts of the story are just as important. Details can mean the difference between a mediocre story and a truly memorable tale. So how do we combat these kinds of flaws in our own writing? Simple. Fact-checking. You may have heard about fact-checking when it comes to your social media feeds, the claims of politicians, or stories you read online, but what does it really mean in fiction writing? Fact-checking in fiction is simply taking the technical details in your book — whether they are scientific, historical, cultural, or emotional — and ensuring that these details are correct and true as you present them to readers. We don’t want any fake news! What Details Do We Need to Check? You decide you want to write a post-apocalyptic book based on climate change. When you create your catastrophe, it is important to research what kind of specific events would be most likely to lead to the world you are building, such as global flooding, a war, or water shortages. These are based on science we already know, and checking that your decisions are logical and realistic will give your world more flavor and feeling of reality. You decide you want to write a Western. It is set to take place in California in the 19th century, and you want your protagonist to be a gold prospector. Fact-checking would show you the most logical years (like the 1849 Gold Rush) as well as what social norms, clothing, food, technology, and hardships would be present. You may well find you picked 1900 as your year by accident! Let’s say you create a society that worships the ancient Egyptian gods, where these gods walk among humans. You begin writing and list Hatshepsut as the goddess of the hearth, but checking the facts, you will find that the Egyptian goddess of the hearth is actually Hathor. You want to write a story that takes place in Iceland, but you have never been there. You begin your story in a thriving metropolis, but when you start checking your facts on Iceland, you find that there is really only one large metropolis — Reykjavik — and it is far calmer than the city you depict in your book. Every story has bits of truth sprinkled among the fiction, whether they involve technology, history, society, or the human experience. These places are where we need to check and double-check. But now that you know what fact-checking is and what sorts of things may need it, you may be wondering why this is even important. After all, this is fiction! Why Bother to Fact-Check Our Fiction? The truth is that fact-checking can be incredibly important to the success of your story for a number of reasons, such as the experience of the reader, the credibility of the author, and the value of the work created. Let’s dissect this a little. One of the biggest reasons to do this is to avoid confusing, frustrating, and alienating your readers. Readers are the lifeblood of every story; without them, an author is simply screaming into a vacuum. How do we make our stories ring true? @selinajeckert shows how to fact-check our fiction... Click To TweetHave you ever started reading a book only to put it down due to a glaring inaccuracy or detail, sometimes to the extent of being offensive? I certainly have. Once we know there is a serious flaw in reasoning, logic, or details, it can be difficult to continue trusting the story, and the author, with our time. A book has to work overtime to make up for it. The reader is likely to feel too frustrated to continue, and you may have lost them forever. Another important reason to fact-check is that your work gives you credibility. By taking the time and care to review the statements you’ve made in your work, you are creating something that is more reliable to the reader, leading to improved trust. Readers will begin to understand that they can count on you to do your research to provide them with a piece that is as accurate to reality and logic as possible. They will also see that you are dedicated to the details from the start, something that can truly make you stand out as a writer within your genre. Finally, fact-checking ensures that your work is the best it can possibly be. This is the ultimate goal of the publishing process: doing everything in our power to polish and prepare the story to be read. The unfortunate truth is that leaving inaccuracies or logic flaws or insensitive material in your story can kill it; readers will see it as below the expected quality of work, and they will stay away from your books in the future. When we focus on polishing the truths in our work, we are taking steps to allow our book, and our future books, its best chance at success. Now, hopefully it is clear that fact-checking is not only important across all genres and for a number of critical reasons, but the next question is how to go about this process. Excellent question. It is one thing to understand that something is necessary, but it is entirely different to understand the practical applications. Now we will dive into some ways you can implement fact-checking in your own writing. Primary sources are items such as research articles in a scientific journal, first-hand accounts of an event, or an interview from a person with an experience. Secondary sources, such as articles that summarize other articles, tend to dilute the raw facts into digestible pieces that may lose the original meaning. Google, books, textbooks, and people themselves can be excellent sources, as long as you carefully choose and double-check that these sources are credible. My advice is to go straight to primary sources whenever possible. However, sometimes these can be difficult to understand or even find. When you’ve exhausted primary sources or struggle to make sense of them, the next-best source is an expert in the topic. This expert will look different depending on your needs: a historian, a costumer, a doctor, a scientist… the list could go on forever. This can be done using Google or searching on university websites for lists of faculty and their research. Consultants can also be helpful, but you may have to pay them. Other experts may be an editor or a person with the experience you are trying to write. Make sure you have several experts on this list, in case your ideal expert is not available. It is also a good idea to have multiple perspectives whenever possible. Send emails to everyone on your list. Simply say hello, explain that you are a writer doing research for a book (and maybe tell them a sentence or two about it), and ask if they would mind talking to you about their research. Insider Hint: Experts typically love talking about their research. I know it can be hard to reach out, but the worst that can happen is they tell you no or don’t respond. This is another reason you send emails to several people. If the expert lives or works close to you, you could meet at their office or a local establishment. But if not, email correspondence, phone calls, and video calls are all just as effective. Have something to refer to if you get stuck. Send a thank you note, add them to the “Acknowledgements” section of your book, anything. Just make sure you show your gratitude. If your first list doesn’t respond, make a new one. Keep trying until you pull someone in. Every book needs beta readers and critique partners, but you may consider choosing a reader who has experience you don’t. This may mean finding an expert to beta read your work (some experts are also writers and readers) and asking them to check for inaccuracies. If you are writing about something outside of your personal experience, you may require a sensitivity reader or targeted reader. Again, ask them to point out inaccuracies. Be kind, considerate, and try not to take their comments and opinions personally if you’re wrong. You can often find these kinds of readers on social media platforms like Twitter and Tumblr… just ask around! If all else fails, the internet is your friend. Search as much as you can there, but make sure you fact-check your fact-checks! Did you know it is also vital to fact check your made-up work? It’s true! Checking your own personal world details are just as important as fact-checking details in the real world. Earlier, I mentioned that it is important, particularly in science fiction, to check the logic of the decisions you make in your work. This also applies to the creation of worlds and magic systems, and it may be considered a form of fact-checking. And in this case, you’re in luck; you get to be the primary resource! A good idea for your fictional fact-checking is to create a guide for yourself, something I’ve heard called a worldbuilding bible. For me, this is as simple as a notebook in which I write out all the rules for my society and magic system. Do you have a world-building bible for your story? @selinajeckert gives tips. Click To TweetI typically do this before drafting, but you may find, like I do, that you must add rules as they pop up in your work. Sometimes, you may even need to change them mid-draft, and in this case, double-checking your earlier usages becomes critical. As you are writing and once you’ve completed the work, this guide becomes a reference to ensure that not only are you following all your made-up rules, but also that all your rules and usages are consistent and logical when combined. Be certain that readers will catch where you leave inconsistencies or don’t follow your own rules! One good way to see if your magic and your world are logical and consistent is to ask for reader opinions. Once you find beta readers for your work, ask them if they can explain anything about how the magic works or to let you know what parts of your worldbuilding don’t make sense. This can be immeasurably helpful to you during edits! Take their comments to see where you may have strayed from your own rules or where you rules don’t make sense, and then adjust throughout your work. While fact-checking is vital to producing quality work, the timing is flexible. Some authors feel that researching at the beginning of a novel is best, some research what they need when they need it, and others wait until the draft is complete, using placeholders in the meantime. When you fact-check depends on your style, but I would encourage you to give your work one final pass after the last round of edits. This way, if any new ideas or thoughts creep into your work during revising and editing (as they usually do), you will be more likely to catch them. I hope this discussion has given you some new ideas, helped you reconsider old ones, and provided the tools to evaluate the truths in your work. While this process can be difficult and time-consuming, it will be well worth it in the end! Selina has been writing since elementary school, but she started taking it seriously while in graduate school for neuroscience. Now, she works as a preclinical research biologist while also writing fiction and articles on writing and providing author support services under Paper Cranes, LLC. She has been a finalist twice in Rooglewood Press’s fairytale retelling contests, and her first novel, THIS CURSED FLAME, releases in April 2019. Paper Cranes is a writing and editing support service for writers and authors, offering a range of editing and proofreading services as well as fantasy cartography and science consulting for writers. I’ve used all the approaches Selina mentions here, but amusingly, the one I struggle the most with is my own worldbuilding. The paranormal romance/contemporary fantasy romance I write requires me to think through a lot of magic and fantasy world details. Unfortunately, what makes sense in my head doesn’t always make it onto the page. Add in how my brain lazily accepts barely-there explanations, and I usually have to think through the details on a deeper level when I get feedback from my beta readers and editors. 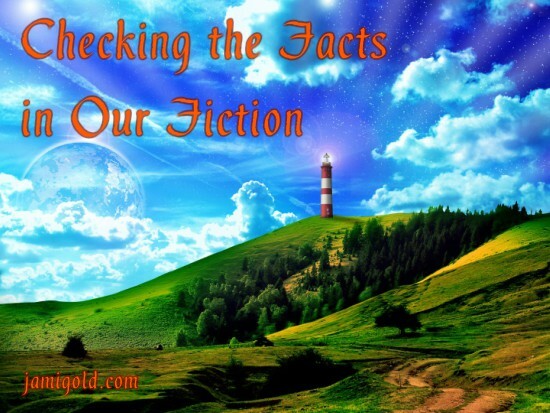 Have you ever thought about the need to do fact-checking, even for fiction? Have you ever read a story with factual errors, or have you messed up facts in your stories? How did you discover the error? Do you have any insights to add to Selina’s advice? Do you have any questions for Selina? Great post! Very relevant to me as I am presently studying for a degree in Journalism. 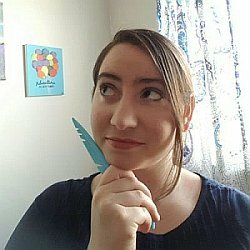 I have just interviewed author C.E. Murphy who said that she is bringing out an urban fantasy book set in Detroit in 1945… she had assumed there was a bus system but at the last moment she found out that at the time, Detroit had a good tram system, which was later killed off by the motor industry. Her books had to be rewritten for corrections. Also I am glad it felt relevant to you! Fact checking is something that can apply to many pieces of writing, and journalism is definitely on that list! Good luck with your studies! You are absolutely right! Even the experts can get things wrong. That’s one of the reasons I highly recommend speaking with multiple people (I say this under the “Make a List” point in the experts section). This way, you’re collecting varied opinions and experiences and can use those to create something realistic and believable, even when your readers have a different experience – you may find that you get to introduce them to a new idea! Ah yes. I must have been referring to alternative history. But yeah, calling their era a different name can distinguish it from historical proper, so that readers don’t get confused.